Concurrency and Computation: Practice and Experience . Under Revision. Bhojane, P.; Duff Jr., M. R.; Bafna, K.; Rimmer, G.; Agarwal, P. K.; Howell, E. E., "Fifty Shades of Interaction between Folate and Glycine Betaine"
(2016), "Intertwining of solvent and dynamics affects enzyme catalysis" (2016), Submitted. Agarwal, P. K.*, "A Biophysical Perspective on Enzyme Catalysis"
Norris, V.; Krylov, S. N.; Agarwal, P. K.; White, G. J., "Synthetic, switchable enzymes"
(2016), J. Mol. Microb. Biotech. Revision Submitted. Agarwal, P. K.*; Doucet, N., Chennubhotla, C. S.; Ramanathan, A.; Narayanan, C., "Conformational sub-states and populations in enzyme catalysis"
(2016), Invited article. Methods in Enzymology, 578, 273-297. Gagne, D.; Nhung, T.; Narayanan, C.; Roux, L.; Brunzelle, J. S.; Couture, J.-F.; Agarwal, P. K.; Doucet, N., "Ligand Binding Induces Enhanced Conformational Exchange in Xylanase B2 from Streptomyces lividans"
(2016), Biochemistry, Biochemistry, 55, 4184-4196. Duff Jr., M. R.; Chopra, S.; Strader, B. D.; Agarwal, P. K.; Howell, E. E., "Tales of Dihydrofolate Binding to R67 Dihydrofolate Reductase"
Gange, D.; French, R. L.; Narayanan, C.; Simonovi, M.; Agarwal, P. K.; Doucet, N., "Perturbation of the conformational dynamics of an active-site loop alters enzyme activity"
(2015), Structure, 23 (12), 2256-2266. Accounts of Chemical Research (2014), 47(1) , 149-156. Concurrency and Computation: Practice and Experience (2013). 25 (10) 1356-75. Physics of Life Reviews (2013), 10 (1), 35-36. Proteins: Structure, Function and Bioinformatics, (2012), 80 (11), 2536.2551. Heredia, A.; Meunier, V.; Bdikin, I. K.; Gracio, J.; Balke, N.; Jesse, S.; Tselev, A.; Agarwal, P. K. ; Sumpter, B. G.; Kalinin, S. V.; Kholkin, A. L., "Nanoscale Ferroelectricity in Crystalline gamma-Glycine"
Advanced Functional Materials (2012), 22, 2996-3003. J. Phys. Chem. Lett. (2012), 3, 1142-1146. Burger, V. M.; Ramanathan, A. R.; Savol, A. J.; Stanley, C.; Agarwal, P. K.; Chennubhotla, C. S., "Quasi-anharmonic analysis reveals intermediate states in the nuclear co-activator receptor binding domain ensemble". Pacific Symposium on Biocomputing 2012 (2012). PLoS Biology (2011), 9(11), e1001193. Savol, A. J.; Burger, V. M.; Agarwal, P. K.; Ramanathan, A. R.; Chennubhotla, C. S., "QAARM: Quasi-anharmonic auto-regressive model reveals molecular recognition pathways in ubiquitin". In the Proceedings of IEEE International Symposium on Policies for Distributed Systems and Networks (POLICY 2011) (2011). Borreguero, J. M.; He, J.; Meilleur, F.; Weiss, K.; Brown, C. M.; Myles, D. A. A.; Herwig, K. W.; Agarwal, P. K., "Redox-Promoting Protein Motions in Rubredoxin", Journal Cover. J. Phys. Chem. B. (2011), 115 (28), 8925-8936. PLoS ONE (2011) 6(1): e15827. In the Biochemistry (2010) 49, 9078-9088. Hampton, S. S.; Alam, S. R.; Crozier, P. S.; Agarwal, P. K.*, "Optimal utilization of heterogeneous resources for biomolecular simulations"
In the Proceedings of International Conference for High Performance Computing, Networking, Storage and Analysis (SC' 10), New Orleans, LA (2010). 1-11. Proceedings of International Conference on High Performance Computing and Simulation (2010) 98-107. Proceedings of the 7th ACM international conference on Computing frontiers (2010) 83-84. J. Phys. Chem. B (2009) 113 (52), 16669-16680. Proceedings of the IEEE International Symposium on Parallel and Distributed Processing (IPDPS) (2008) 1-7. Proceedings of the annual IEEE International Conference on High Performance Computing (HiPC) (2008) 1-11. Parallel Computing (2008) 34, 640-651. In Proceedings of the 7th IEEE International Conference on Bioinformatics and Bioengineering, BIBE, (2007), 1459-1466. Agarwal, P. K.*; Alam, S. R.; Geist A, "Simulating Biomolecules on Petascale Supercomputers". Invited book chapter. Petascale Computing: Algorithms and Applications, Edited by David A. Bader, CRC Press (2007). Cover Feature, IEEE Computers (2007) 40, 66-73. J. Physics Conference Series (2006) 46, 327-333. Proceedings of the eleventh ACM SIGPLAN symposium on Principles and practice of parallel programming. (2006) 59-68. Invited Review Article: Microbial Cell Factories. (2006) 5:2. J. Am. Chem. Soc. (2005) 127, 15248-15246. Proteins: Struct. Funct. Bioinformatics (2004) 56, 449-463. J. Am. Chem. Soc. (2003) 125, 3745-3750. J. Phys. Chem. B (2002) 106, 3283-3293. J. Am. Chem. Soc. (2001) 123, 11262-11272. Hydrogen Transfer Reactions in Enzymes", J. Chem. Phys. (2001) 114, 6925-6936. Catalyzed by Liver Alcohol Dehydrogenase", J. Phys. Chem. B (2000) 104, 8884-8894. Agarwal, P.K. ; Webb, S.P. ; Hammes-Schiffer, S.
"Computational Studies of the Mechanism for Proton and Hydride Transfer in Liver Alcohol Dehydrogenase", J. Am. Chem. Soc. (2000) 122, 4803-4812. Exploitation of mechano-chemistry of restriction endonucleases", Biotechnology & Bioengineering (1999) 65, 233-239. PITAC Report to the President of United States on Computational Science: Ensuring America's Competitiveness (June 2005), page 83. DOE Advanced Scientific Computing Research FY 2004 Accomplishment. Evaluation of the SGI Altix 3700 at Oak Ridge National Laboratory. Proceedings of the 46th Cray User Group Conference, Knoxville TN, May 17-20, 2004. Inventor: Pratul K. Agarwal, US Patent # 9,195,795, Issued 11/24/2015. Inventor: Pratul K. Agarwal, US Patent # 8,417,461, Issued 04/09/2013. 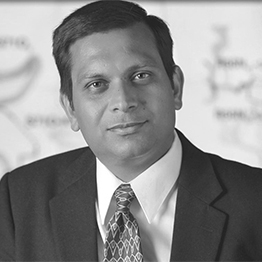 P Inventor: Pratul K. Agarwal, US Patent # 7,983,887, Issued 07/19/2011. 1. Invited Seminar: University of Tennessee (Genome Science and Technology program seminar), Knoxville TN, Jan. 18th, 2006, Enzymes: An integrated view of structure, dynamics and function. 2. Invited Seminar: NIST (Physics Division Seminar) Gaithersburg MD, April 18th, 2006, Protein Vibrations Promoting Enzyme Catalysis. 3. University of Minnesota (Supercomputing Institute and Department of Chemistry seminar), Minneapolis MN, May 31st and Jun. 2nd 2006, Protein Vibrations Promoting Enzyme Catalysis. 4. Invited Seminar: IBM Inc., Rochester MN, Jun 1st 2006, Next generation simulations in biology. 5. Invited Talk: NanoFocUL workshop, ORNL, Oak Ridge TN, Aug. 29th 2006, Multi-scale modeling of enzymes. 6. Invited Seminar: Vanderbilt University, (Dept. Chemical Engineering seminar), Nashville, TN, Sep. 4th 2006, Multi-scale modeling of enzyme catalysis. 7. Workshop on the Future of BioMolecular Simulations: From Ab Initio to Nano-molecular Machine, Oak Ridge TN, Dec. 11th 2006, Biomolecular Simulations on Petascale: Promises and challenges. 8. Invited Seminar.University of Cincinnati, Cincinnati, OH, 15th March 2007, Protein vibrations promote enzyme catalysis: An integrated view of enzyme structure, dynamics and function. 9. CERMACS 2007 (ACS regional meeting), Covington KY, 23rd May 2007, Evolution of enzyme fold: Role of protein dynamics in enzyme catalysis. 10. VII European Symposium of the Protein Society, Stockholm (Sweden), 15th May 2007, Protein vibrations promote enzyme catalysis: An integrated view of enzyme structure, dynamics and function. 11. Argonne National Laboratory, Argonne, IL, 30th Aug. 2007, Towards A Fault Tolerant Molecular Dynamics Application. 12. Invited Seminar: Carnegie Mellon University, Pittsburgh, PA, 17th September, 2007, Evolutionary linkage between enzyme structure, dynamics and function. 13. Invited Seminar: HPC user's forum, Santa Fe 27th Sept. 2007, Biomolecular Simulations with HPC: Implications for Bio-ethanol. 14. DOE BER, Germantown MD, Dec 17th 2007, Multi-scale Modeling of Enzymes: Implications of low cost ethanol. 15. Protein Dynamics Workshop, Tarrytown NY, May 2nd 2008, Evolution of Enzyme Fold: Linking Protein Dynamics and Catalysis. 16. Workshop in Trend, Technologies and Collaborative Opportunities (WTTC) 2008, Bangkok Thailand, June 9th 2008, High Performance Simulations in Biology: Implications for Health, Energy and Environment. 17. Workshop in Trend, Technologies and Collaborative Opportunities (WTTC) 2008, Phuket Thailand, June 11th 2008, High Performance Simulations in Biology: Implications for Health, Energy and Environment. 18. 236th Annual Meeting of the American Chemical Society, Philadelphia PA, August 19th 2008, An Integrated View of Enzyme Structure, Dynamics and Function. 20. Invited Seminar: St. Jude Children's Research Hospital, Memphis, TN, November 25th, 2008, Evolution of enzyme fold: Linking protein dynamics and catalysis. 21. Biophysical Society 53rd Annual Meeting, Boston, MA, March 3rd, 2009, Evolution of enzyme fold: Linking protein dynamics and catalysis. 22. ACS 238th National Meeting, Washington, DC, August 17, 2009, Linking enzyme structure, dynamics, and catalysis. 23. LAMMPS Users Workshop, Sandia National Laboratories, Albuquerque, NM, Feb 26th 2010, GPU-enabled biomolecular simulations with LAMMPS. 24. Outstanding Paper Award: International Conference on High Performance Computing and Simulation (HPCS) 2010, Caen, France, July 1st 2010, Towards Microsecond Biological Molecular Dynamics Simulations on Hybrid Processors. 25. University of Tennessee, Knoxville, Department of Biochemistry, Cellular and Molecular Biology (BCMB) Retreat, Knoxville, 20th August 2010, The Tail Wagging the Dog: Insights into Catalysis in R67 Dihydrofolate Reductase. 26. American Chemical Society 240th National Meeting, Boston, MA, August 22nd 2010, Biomolecular simulations in heterogeneous computing architectures. 27. Workshop on force field development, CNMS, ORNL, Oak Ridge, TN, Sept. 15th 2010, Linking Protein Flexibility to Enzyme Catalysis. 28. Bio-molecular Simulations on Future Computing Architectures, ORNL, Oak Ridge, TN, Sept. 15th 2010, Optimal biomolecular simulations on future computing architectures. 29. SC10, Intl. Conf. for High Performance Computing, Networking, Storage and Analysis, New Orleans, LA., November 14th 2010, Molecular Biophysics in Cloud: Promises and Challenges. 30. SC10, Intl. Conf. for High Performance Computing, Networking, Storage and Analysis, New Orleans, LA., November 18th 2010, Optimal utilization of heterogeneous resources for biomolecular simulations. 31. Zing Conference on Biocatalysis, Puerto Morelos, Mexico, December 11th 2010, Evolutionary Conserved Linkage Between Enzyme Fold, Flexibility, and Catalysis. 35. Zing Conference on Enzymes, Coenzymes and Metabolic Pathways, Xcaret, Mexico, November 20th 2011, Role of enzyme dynamics: Engineering hyper-catalytic enzymes by conformation modulation. 36. Next-Gen Kinase Inhibitors, Boston, MA, June 5th 2012, Discovering and characterizing allosteric sites for novel drug design. 37. Best Poster Award: GRC Medicinal Chemistry, New London, NH, August 9th 2012, Discovering and characterizing allosteric sites for novel drug design. 38. ACS 244th National Meeting, Philadelphia, PA, August 19 2012, Learning from and manipulating enzymes for better catalysis. 39. ACS 244th National Meeting, Philadelphia, PA, August 19 2012, Unraveling the mystery of solvent-protein thermodynamical coupling: Insights from enzyme catalysis in organic solvents. 40. ACS 244th National Meeting, Philadelphia, PA, August 20 2012, Engineering hyper-catalytic enzyme by photo-activated conformation modulation. 41. Invited Seminar: BiG Seminar Series, University of North Carolina, Charlotte, September 21 2012, Using Computations to Understand and Manipulate the Working of Biomolecules . 42. Drug Design 2012 Conference, Oxford, United Kingdom, September 28th, 2012, Discovering and Characterizing Allosteric Sites for Novel Drug Design. 43. Invited Talk: 10th Discovery on Target, Allosteric Modulators Series, Boston MA, October 3rd, 2012. Biophysical Approach to Allosteric Site Discovery and Characterization of Kinases. 44. Invited Talk: Novartis Institutes for BioMedical Research, Cambridge MA, October 4th, 2012. Biophysical Approach to Allosteric Site Discovery and Characterization of Kinases. 45. Invited Talk: Zing Conference on Mathematical and Computational Medicine, Xcaret, Mexico, December 4th 2012, Biophysical Approach to Allosteric Site Discovery and Characterization of Kinases. 46. Zing Conference on Biocatalysis, Xcaret, Mexico, December 6th 2012, Engineering Hyper-catalytic Enzymes through Conformation Modulation. 47. Invited Speaker: 13th Annual Symposium of PROTEO, the Quebec Network for Research on Protein Structure, Function and Engineering. Montreal, Canada, May 17th 2013. Protein Dynamics and Conformational Sub-states in Enzyme Catalysis. 48.Invited Speaker: 2nd Conference on Dynamics in Enzymatic Catalysis, Telluride, CO, July 29th-August 2nd, 2013. Conformational sub-states and Conformational Modulation in Enzyme Catalysis. 49. Invited Speaker: Modeling and Computational Design Symposium, Society for Industrial Microbiology and Biotechnology (SIMB) Conference 2013, San Diego, CA, August 11-15th 2013. Engineering Hyper-catalytic Enzymes through Conformational Modulation. 50. Invited Speaker: CBE Graduate Seminar, University of Tennessee, January 23, 2014. A Biophysical Model of Enzyme Catalysis: Applications for Rational Biomolecular Design. 51. Invited Speaker: Northeastern University, January 28, 2014. Understanding and Manipulating How Enzymes Work. 52. Invited Speaker: University of Massachusetts Lovell, April 29, 2014. The Fascinating World of Enzymes. 53. Invited Speaker: Biology and Soft Matter Division Seminar, Spallation Neutron Source Directorate, ORNL, June 12, 2014. Protein Dynamics and Conformational Sub-states in Enzyme Catalysis. 54. Invited Talk: Workshop on Intrinsically Disordered Proteins, July 16, 2014. Protein Dynamics and Conformational Sub-states in Enzyme Catalysis. 55. Invited Seminar: Janssen Pharmaceuticals, October 13, 2014. Discovering and Characterizing Allosteric Sites for Novel Drug Design. 56. Invited Seminar: University of Montreal, Montreal, Canada, November 6, 2014. Conformational Diversity and its Role in Enzyme Catalysis. 57. Invited Talk: Worskshop on Frontiers in Data, Modeling, and Simulation, Argonne National Laboratory, March 31, 2015. Neutrons, Simulations and Models in Biology. 58. Invited Seminar: Department of Computational & Systems Biology, School of Medicine, University of Pittsburgh, May 12, 2015. Conformational sub-states and allosteric modulation in drug discovery. 59. Invited Talk: 3rd Conference on Role of Protein Dynamics in Enzyme Catalysis, Telluride, CO, August 3-7, 2015. Role of conformational sub-states and solvent in enzyme catalysis. 60. Invited Talk: Engineering Conference, St. Petersburg, FL, September 9, 2015. Hyper-catalytic Enzymes using Conformational Modulation. 61. Invited Seminar: Department of Physics, University of South Florida, Tampa, FL, February 16, 2016. Department of Physics, University of South Florida, Tampa, FL, February 16, 2016. 62. Invited Seminar: Department of Toxicology, Oklahoma State University, Stillwater, OK, March 3, 2016. Enzymes as Biophysical Machines: Applications for Engineering and Drug Discovery. 63. Invited Seminar: Institute of Applied Life Sciences, University of Massachusetts, Amherst, MA, April 7, 2016. Enzyme Catalysis: Following nature.s footsteps for designing better enzymes and novel allosteric modulators. 64. Invited Talk: College of Chemistry, University of California, Berkeley, CA, April 25, 2016. Enzymes as Biophysical Machines: Designing Faster and Better Biocatalysts.